We’re the UK’s Number 1 office projector store, with over 50,000 projectors sold since 2001. 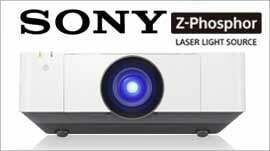 We’ve got the UK’s largest range and biggest stocks of office projectors from the world’s biggest brands. If you’re not sure of the projector you need, take a look at our most popular office projectors. Looking for a projector for occasional use or a short throw office projector to get the largest image possible in a small meeting room - we’ve got you covered. Choosing the right office projector is an important decision. If you need help making your choice please call one of our experts on Freephone 08000730833 to discuss screen sizes, sources and your environment or read our buyers guide to office projectors. Lamp free. Low Maintenance. 24/7 usage. Full HD 1080p and WUXGA resolutions. Large images even in small spaces. Looking to setup your meeting room to be able to share your or your guests laptop and or mobile devices on a main presentation screen wirelessly all with just one or two clicks of a button? Perhaps you want to upgrade your manual projection screen for an electric in ceiling? From Wireless presentation systems to mounts and screens, we have hand picked the best selection from all the major brands..